Do you dare to enter Fuzzby's Monster Diner? Taste the foul food served up at Fuzzby's and meet the amazing monster customers! 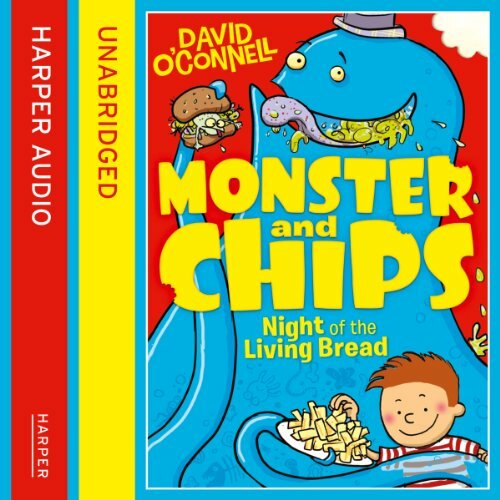 The second book in this laugh-out-loud series from talented author and illustrator David O'Connell. Somewhere hidden in the city is a very special diner. What's so special about it? Well it does the best chips anywhere and the customers are monsters! Joe the ‘hooman' is getting the hang of flipping squashed-frog burgers at the monster diner. He's even made some monster friends. But things heat up in Fuzzby's kitchen when Joe and Fuzzby are asked to cater the Night Mayor's feast at the mysterious Tower of Doom. Will the brave pair return to the monster diner? Or have they served their last bowl of bumbean stew? With cartoon strips, revolting recipes, and a specials board that'll make your tummy churn, take a seat at Fuzzby's and join the fun.